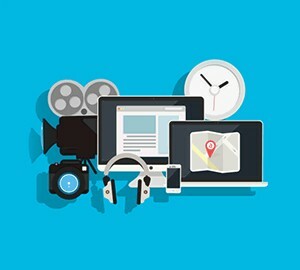 Bring your business & website to life with animated video. One easy way to stand out from your competitors online is to present information in a new, engaging medium. That medium is animated video. Digital Arm are experts in all digital fields, and animated video production is no different. Whether it is web development, web designing, SEO or animation. Each of our highly qualified team members can deliver you a perfect result. Video animation plays a vital role in this advanced age of technology. The entertainment world, the ad agency and the marketing industry use animated videos, images and illustrations on a daily basis and now your business can too! Your professional animators are loaded with talent and creativity with the advanced skills to create you a unique and salient video animation that sets you worlds apart from your competitors. Ready to get your video animation? Video animations can be applied for use in almost every type of field. Embedded in websites, included in mobile applications, presentations, promotional seminars, movies and demos or wherever you need animated videos really. Contact Digital Arm about your video animation requirements today. It’s simple- we provide technology at its best, at a price you can afford. We are committed to being personal, innovative and a one stop shop for businesses just like yours! Our websites tell a story and build a brand. Let us help!